The Mirror: Your Income & Where You stand in the World!!! Your Income & Where You stand in the World!!! I heard somewhere that about 500,000,000 People in the world are almost homeless & poor. I don't think its wrong. 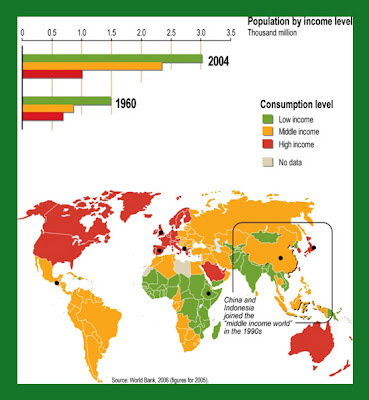 On the other hand I know almost 15% of the world population are enjoying more than 90% of money & sources in the world. These statistics are absolutely true & shocking in my opinion. Who's really doing something serious about it? I don't like the ideas of socialism and/or Communism and/or ... any other political/social activities. By this I mean what real practical, conclusive act has been made?! I know nothing serious is undergoing about this. ONLY IF THOSE 15% RICH POPULATION OF THE WORLD, SHARE ONLY 10$ EACH MONTH, THEY CAN CLEAN THE WHOLE WORLD FROM POOR PEOPLE & HOMELESS INDIVIDUALS. BUT IT SEEMS LIKE A FAR DREAM. WHY SUCH SIMPLE ACT , HAS BEEN A DREAM IN OUR WORLD? Check this website , here you can see in this world in which you may feel you don't have enough money to spend on fancy stuff , where do you stand?